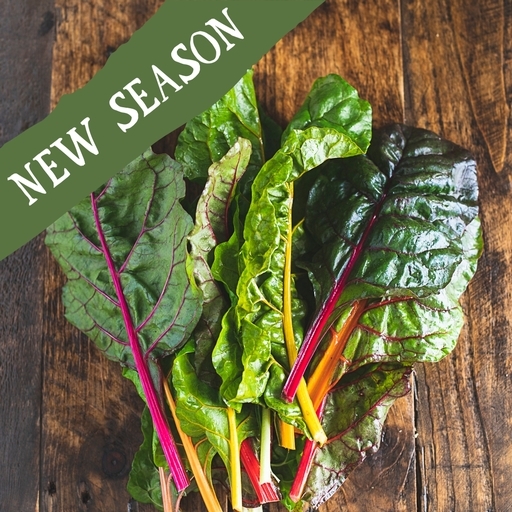 Mixed chard has dark green leaves and brightly coloured stems and ribs. Easy to grow, it is a cut and come again crop. This chard's colourful stalks take much longer to cook than the tender leaves, so for most recipes you start by separating the two. Strip the leaves away from the stalks by pinching at the base and pulling the stalk through your fingers. The leaves should strip away with ease. Dice or slice the stalks and steam, boil or gently fry until tender before adding the leaves to wilt.